Founded by tech industry veteran Eric Bodley, Future Ready Solutions is a leading distributor of HDMI and digital connectivity products. 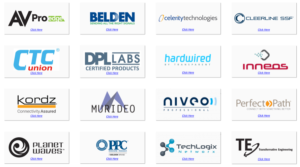 Chartered with the mission to help electronics systems integrators and installers “Connect With the Best,” Future Ready Solutions has assembled the best brands in HDMI and compression connector connectivity that service the residential & commerical integration markets. The company offers a continuum of cables and accessories from Kordz, Perfect Path, Celerity Technologies, PPC, and Belden Snap-N-Seal.